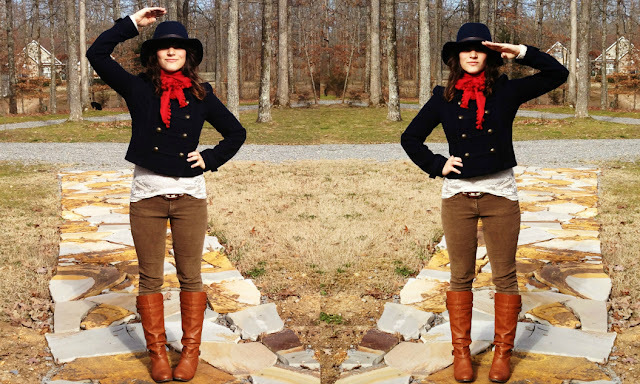 Today's coast to coast challenge was to incorporate military-inspired clothing into an outfit. 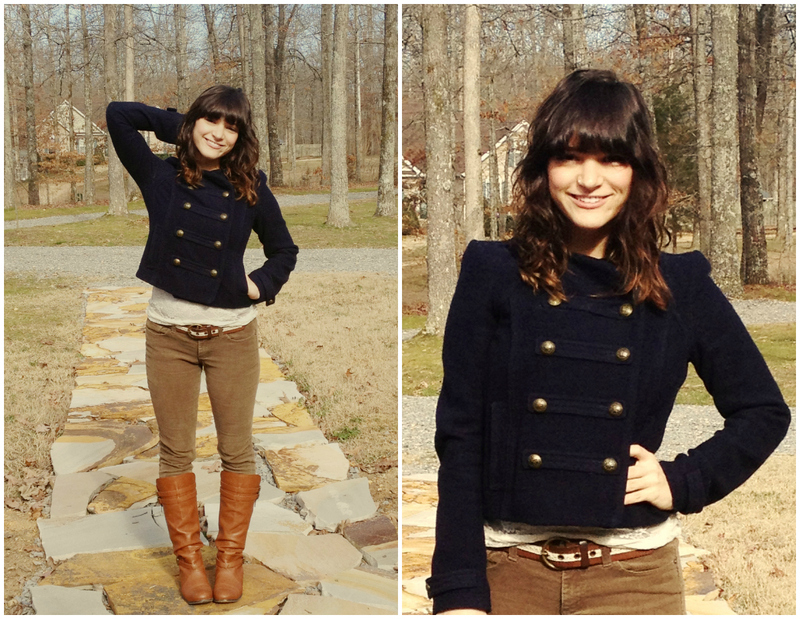 Lucky for me, the low today was a mere eighteen degrees, allowing me to pull out one of my favorite coats! This military style coat was such an impulse buy my freshman year of college, and I have worn it well beyond it's worth. I love that it's a tiny bit cropped, and still has long sleeves. 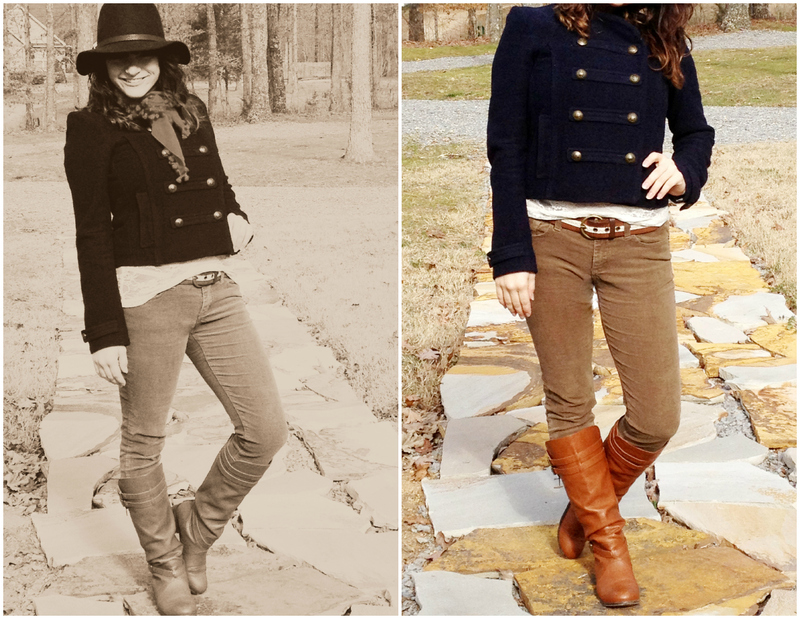 Paired with my J Crew hat, olive cords, buckled leather boots, and a little bit of lace, my take on military style is complete. I always think I am so hilarious. A military inspired outfit was just what I needed to get through today. I am low on sleep from the weekend, and I started my new job today! I have never been happier. Also, in lieu of today's military challenge, I would like to thank those who have serve & who are currently serving in our military; mostly my big brother, who is a 2nd Lieutenant in the Air Force (another reason why I am sporting my military blues instead of camo).